The Rebbe’s father was Rebbe Yitzchok the Skvira Boropark Rebbe. Where is his brother buried? Beth David, they are in the process of building a massive ohel there as well. The last time I check there was a “work stop order” affixed to the partially built ohel. they are not in the “process” of building. the work has been stoped for over a year already. there is garbage strewn there and fake grass piles up in bundles all over. Visited yesterday, place is locked with no access. 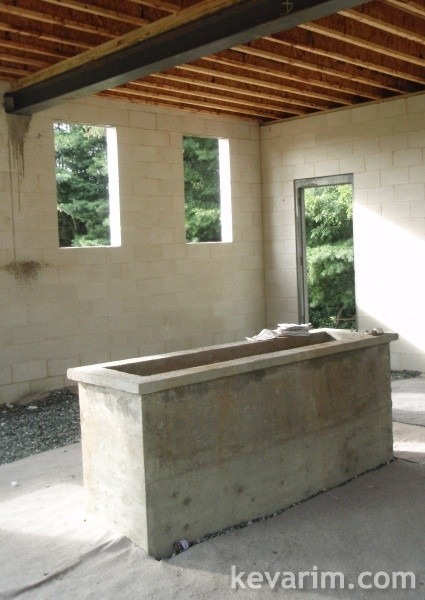 No signage or visible info (inside or outside) who’s buried within the ohel, strange. I go to the Skverer Rebbe Zt”l’s Zion very often. He was a Hidden Tzaddik all his life. The door is never locked. The door might be sometimes a little hard to open, but if you push it in hard it opens. How did you write that there is no signage inside if it was locked and you weren’t even inside? Whenever I go to his Tzion there are always people davening there. His Yartzeit will be the next month, on כ״ז תמוז July 25.